Salmon is brain food, and I need brain food. I’ve had a reputation for losing things ever since I was little. When my friends and I used to get dropped off at the mall by our parents, I would leave my purse in one of the stores every time. It was expected. I’m that kind of paradoxical person that’s responsibly irresponsible and unorganized. Somehow I make it work. I swear everyday I put something down and can’t remember where I put it. I spend twenty minutes looking for sunglasses that are on my head. I search my entire apartment for my hairbrush that fell under my bed when I brushed my hair five minutes ago. I leave the salt in the fridge. And without fail, I leave my apartment only to come back twenty seconds later to get whatever I forgot. Phone, purse, food, whatever. Thank god for the hook to hang my keys, or else I would never be able to drive. I try to switch up my proteins throughout the week. Something with tofu a couple nights, then maybe some bean burgers or lentil soup, then some kind of fish dish. 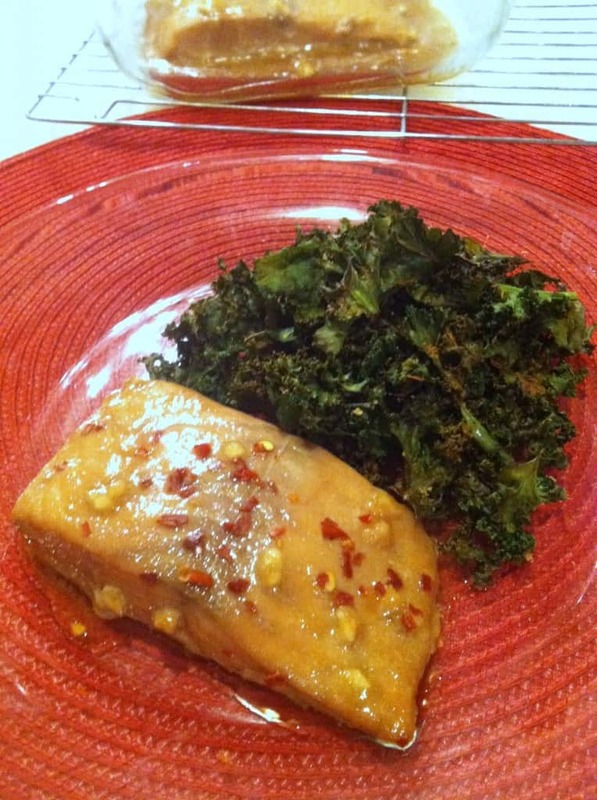 I love this salmon because it really is super easy. Before I go to bed, I take it out of the package, stick it in a Tupperware and defrost it until dinner the next day. Then I whisk together the marinade and let it work its magic for as much time as I have (30 minutes is fine). Pop it in the oven and voila, dinner is served. 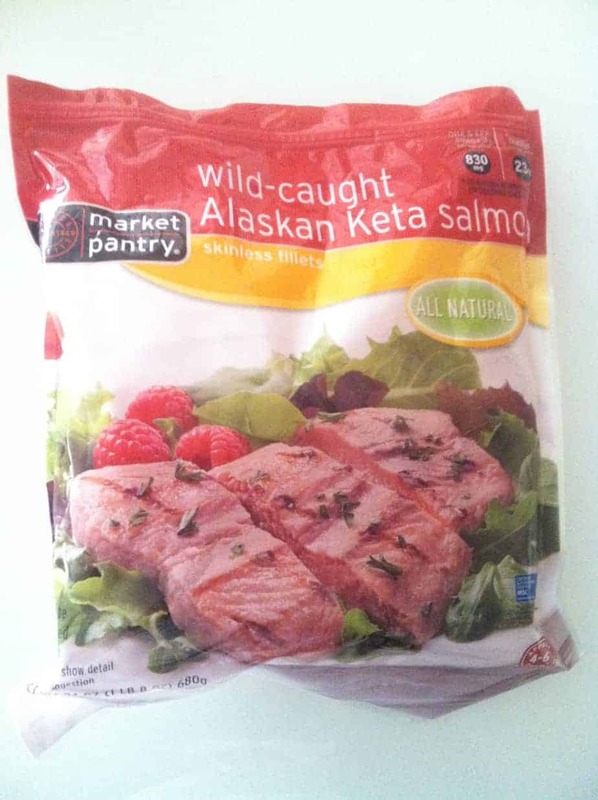 I’ve mentioned before that I love Target’s frozen wild salmon fillets. They really do make dinner a breeze. 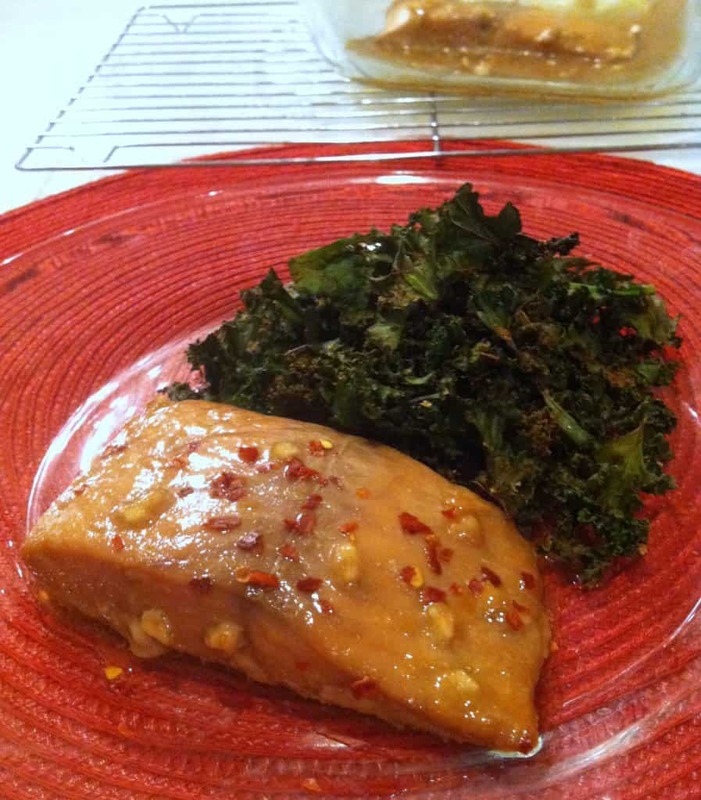 Trader Joe’s is a great place to shop for this recipe because they sell toasted sesame oil and rice vinegar for under three dollars. The sesame oil really makes the dish, so I don’t recommend subbing a different oil. I’ve tried it with olive oil and it isn’t nearly as delicious as the sesame version. Place salmon in a ziploc bag. Pour in marinade. 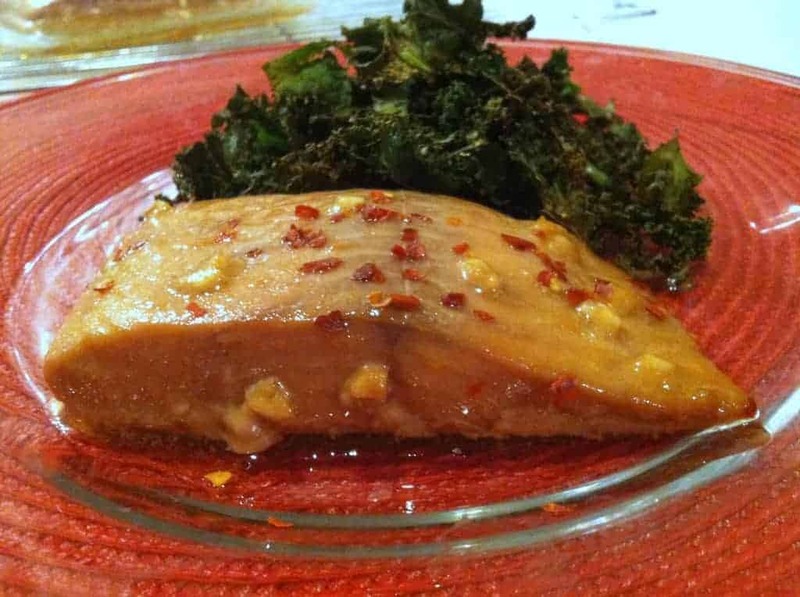 Move around salmon and marinade until evenly distributed throughout salmon. Place baggie in fridge and marinate for at least 30 minutes. Pour contents of baggie into a baking dish, including extra marinade (I used an 8″ by 8″ pan). Bake for about 12 minutes or until salmon is cooked through. Kale chips on the side, obviously. Devour and enjoy! LOL I am a forgetter too. Did I just make that word up? Forgetter is totally a word. I would know, I am one. Is is not the easiest and bestest quick dinner EVER? Love. I think we could all use some more brain food!